1108 & 1110 Route 47 / 14 N. Railroad Ave.
BHHS Fox & Roach, Land Development Group has been chosen by the owner to market this property located in Middle Township, Cape May County, NJ. 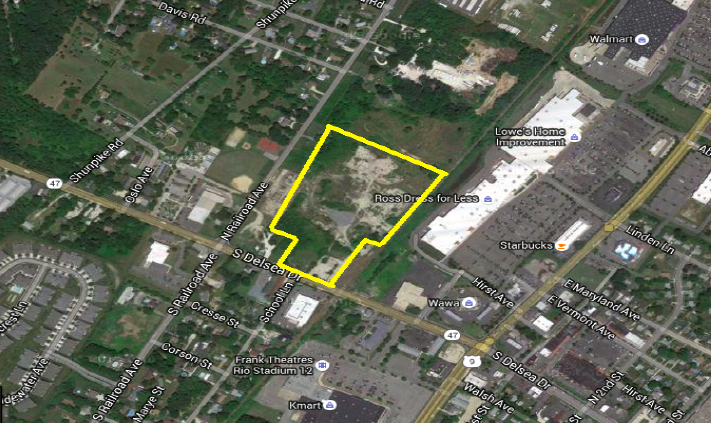 Property has frontages along both NJ State Highway 47 / Delsea Drive and Railroad Avenue. The property is comprised of three lots located in Block 1434: Lots 2, 3, & 8. Commonly known as 1108 & 1110 Route 47, and 14 N. Railroad Avenue. Parcel totals approximately 12.3 acres.